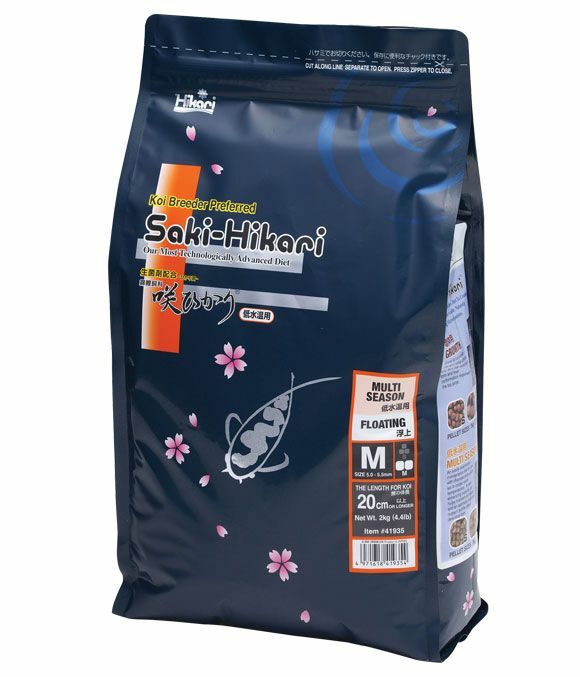 Saki-Hikari Multi-Season is a highly digestible, daily diet which is ideal for feeding championship Koi when colder or unpredictable weather is likely to occur. It includes pure-cultured Sprulina which promotes excellent colouring. All Koi with championship potential when unpredictable or colder water temperatures are likely and the benefits of the other Saki-Hikari diets need to be maintained. There are currently no questions for Saki-Hikari Multi-Season Fish Food - be the first to ask one!